A Returner is an individual (often times a woman) who has taken a 1+ year career pause and is now ready to return to work. These individuals are most often college educated and have 5+ years of professional experience prior to taking a career break. 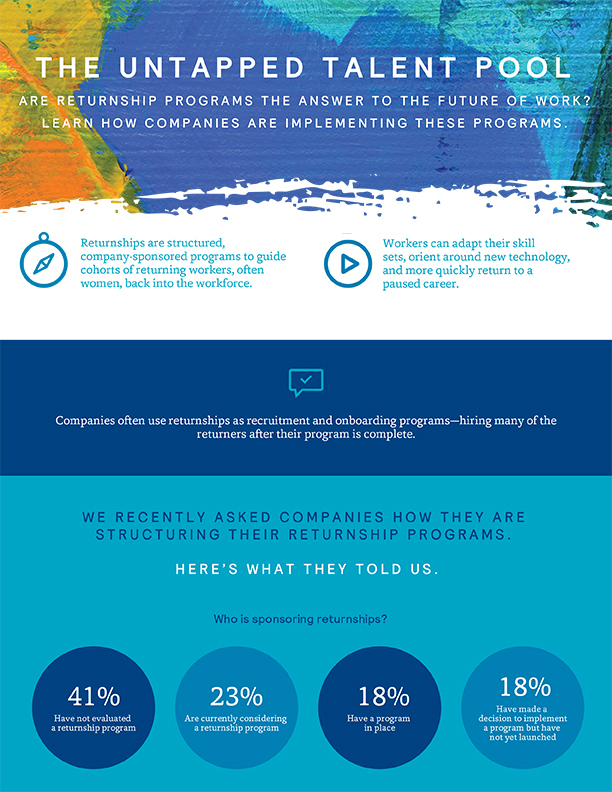 What is a Returner Program? A Returner Program allows this person to transition back into work for a specified period of time as a contract hire with specific duties, responsibilities and support. 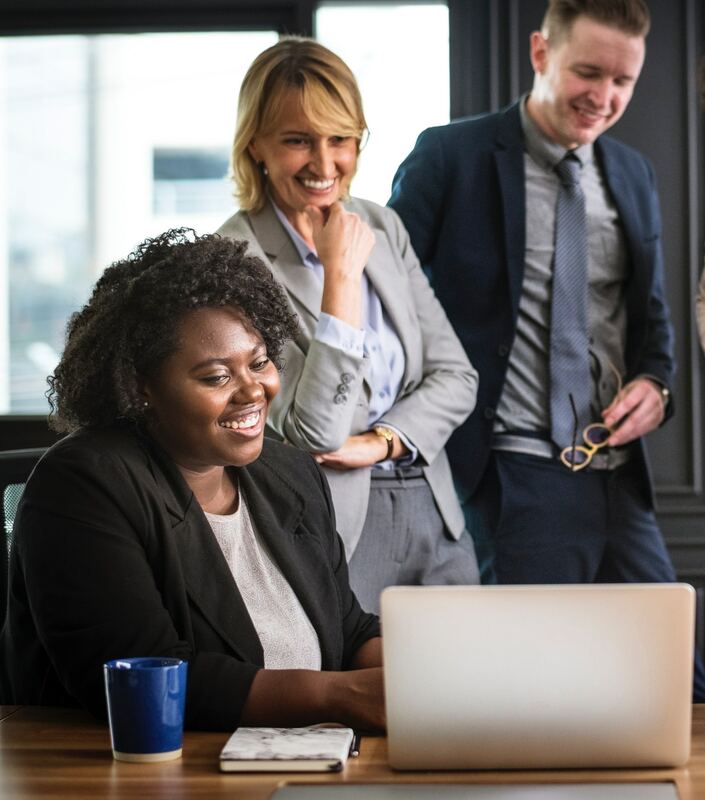 At the end of the specified period, they can become a traditional employee or can utilize the relevant experience to apply to future professional endeavors. Workers can adapt their skills sets, orient around new technology, and more quickly return to a paused career. Why do we need a formal returner program? Diverse teams outperform their all male peers by more than 15%. Recruiting and retaining top talent requires innovation. Our Returner Program allows you to utilize incredible talent without adding a FTE. Returners need additional support navigating a return to work to quickly allow them to exceed expectations and to build their confidence. 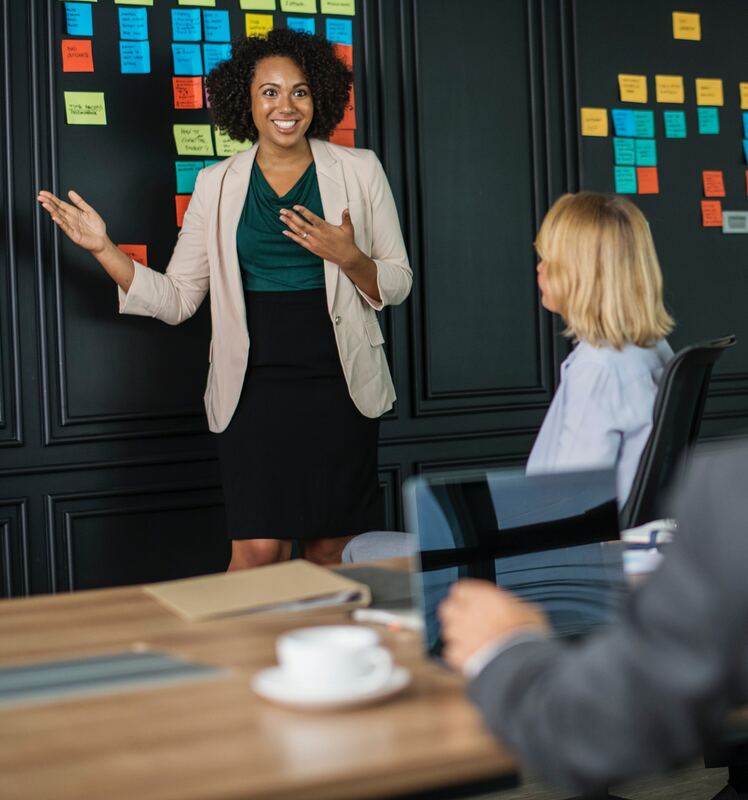 Offering a Returner Program allows women to return to work at closer to parity from where they left off and thus increase the number of women in leadership and reduce the wage gap. 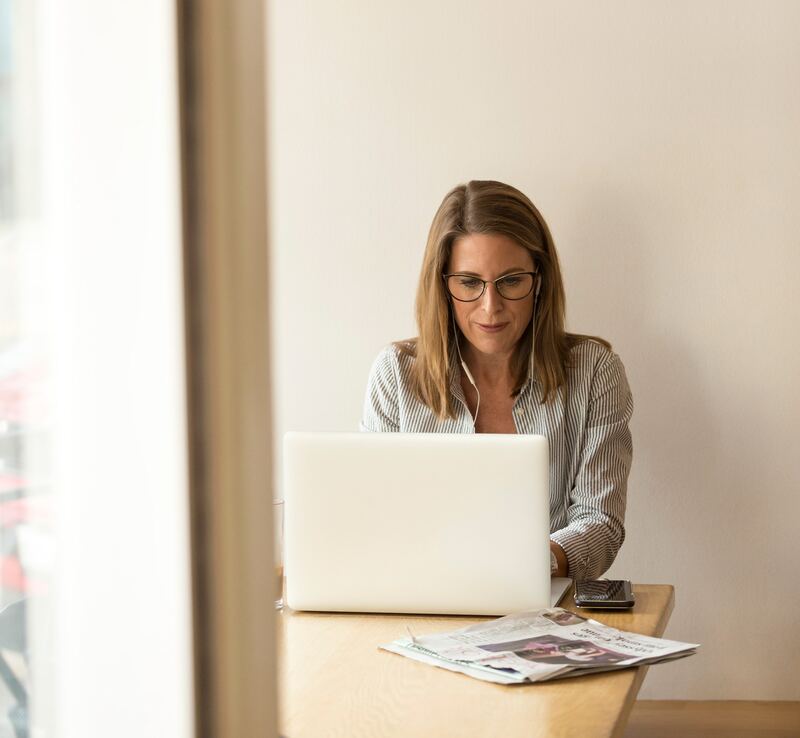 Women returning to the workforce are among the most loyal potential hires however, less than 30% of organizations actively recruit from this talent pool. The confidence gap is often larger than the skill gap and special programs are crucial to creating a successful re-entry during the initial 6 months back to work. Simplified re-entry for both employees and their leaders following a a 1 year or longer career break. Developing a strong, authentic culture that supports and models work-life blend across all levels and departments in the next step in leading the way. 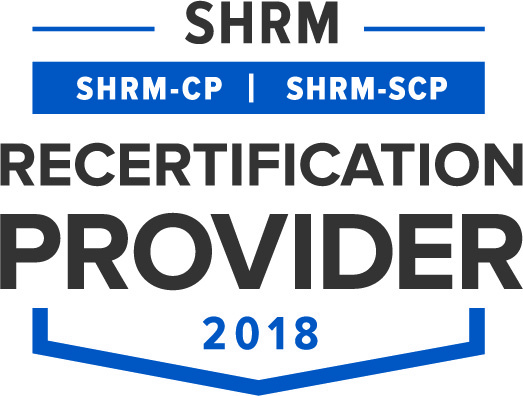 Listen to our webcast or download the materials to learn best practices, first steps to implementing a program and review case studies. How do I build a business case for offering one at my organization? 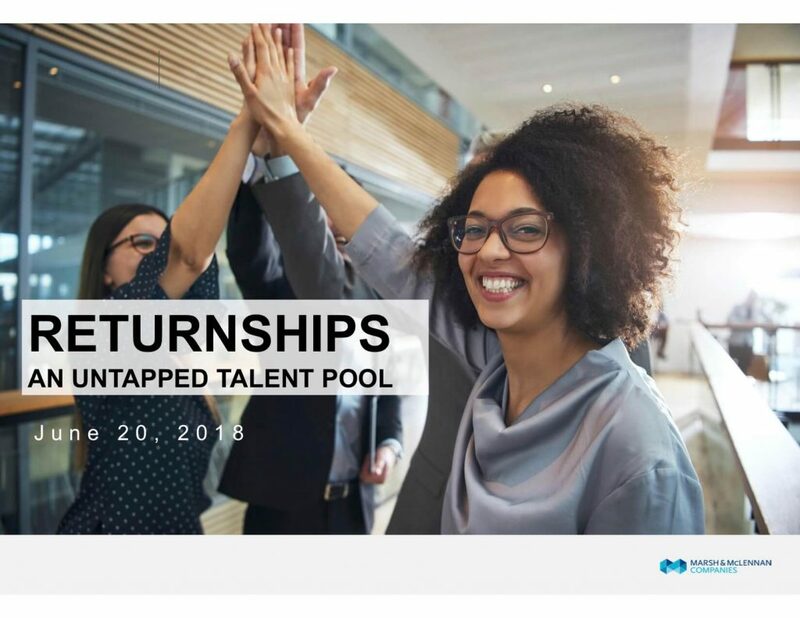 What research is available to support Returnships?